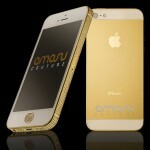 it is a strange time to be releasing a commemorative iPhone 5s, but still, we are pretty sure the Gold-plated Limited Edition iPhone 5s by GineeX Studio will garner its fair share of attention. 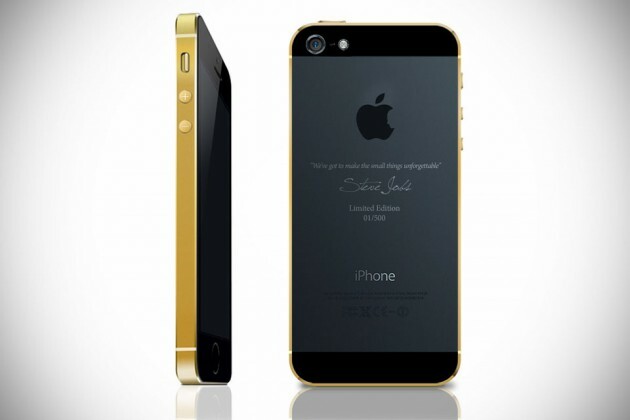 unlike The Million Dollar iPhone and the cohort of gold and blinged out iPhone 5/5s, the GineeX Studio iteration takes on a more subtle approach by only introducing 18K gold-trimming and focus more on the spirit of the late Apple co-founder Steve Jobs. the gold treatment is extended throughout the sides, covering the mute switch, volume controls, as well as the power on/off button. 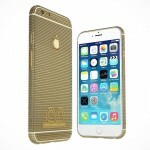 as eye-catching as the gold is, it could not detract us from the finer (and classy, if we might add) details of this limited edition iPhone 5s. in place of the regular glossy black Apple logo is the tribute Apple logo by design student Jonathan Mak who famously replaces the famous “bite” mark with Steve Jobs’ silhouette (a design that pretty much went viral after Jobs’ passing). 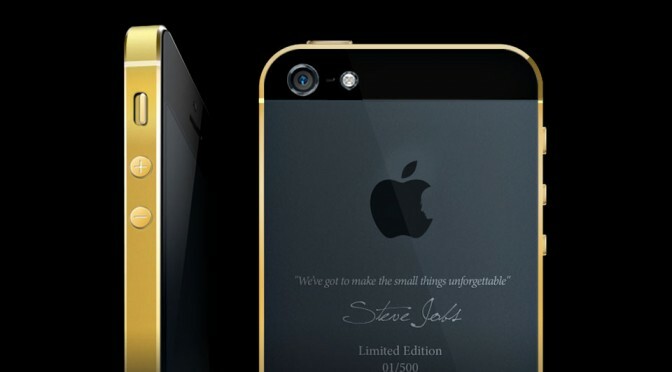 the handset is also inscribed with one of Jobs’ iconic quotation “We’ve got to make the small things unforgettable” and along with it, is Steve Jobs’ rarely seen signature. finally, the “Limited Edition” wordings and the number with its place in the series engraving rounds up this exclusive package. on the hardware aspect, you can expect all the features that comes standard with a 32GB iPhone 5s, including Apple’s pioneering Touch ID fingerprint identify sensor. 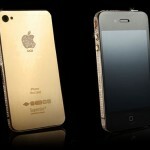 only 500 of this fine example will be made and it is up for pre-order now for a handsome sum of $2,999 a piece.